When I read the story, my spider senses started to tingle. A document containing the original, artistic intellectual property of a well-known Hollywood figure? A document with a potential value in the millions of dollars? A document that was shared with a small cadre of insiders, at least one of whom violated Tarantino’s trust by leaking the script? Sounds like a job for the HoGo Ninja! 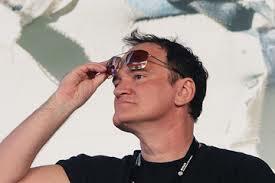 Quentin Tarantino’s experience is one faced every day by many thousands of other writers and creative types. These artists pour their hearts and souls into each page of a screenplay or manuscript hoping that a producer or publisher recognizes its potential and purchases the product. Whether that artist is looking for their first big break or, like Tarantino, they are a bankable commodity, the intrinsic value in their work cannot be realized unless it is shared with others. The necessary act of distributing that document makes it vulnerable to theft and as Tarantino’s experience illustrates, that risk is one that is very real. And while Tarantino’s cachet in Tinsel Town may insulate him in the long-term, others may be less able to absorb the financial blow that such larceny delivers. For a struggling writer whose last shot at living the dream is riding on the treatment she just emailed to an unscrupulous producer it may be the difference between a breakthrough—or seeing an oddly familiar story on the big screen a few years later while struggling to make ends meet. Had Quentin Tarantino taken a few simple steps to safeguard The Hateful Eight script (say, assigned permissions and copy protection using HoGo…), he might have been calling “action!” today rather than calling for justice.